Online shopping is becoming increasingly popular for consumers. The ease of shopping from the comfort of their own home and the ability to find the lowest prices have made online shopping a popular way to complete holiday shopping. 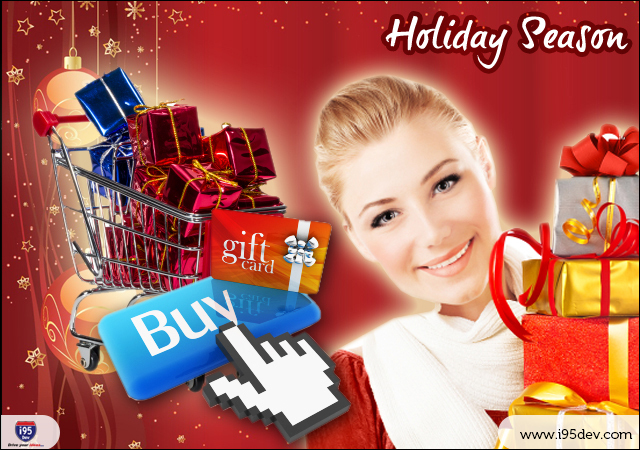 This year it is predicted that more than $55-billion will be spent on holiday shopping online in the United States. This is the year when all e-commerce stores need to be prepared for the holiday rush to have a successful season. In order to prepare your e-commerce store, you need to start early. The best place to begin is by hiring reputable staff who will represent your store effectively and be able to perform during the busy holiday season. Once you have your staff in line, you need to shift your focus to your marketing efforts. Holiday shoppers look for popular items and trends, making it necessary for you to use featured products, popular categories and effective keyword searches. Last but not least, you need to ensure your inventory and merchandising are ready to handle the holiday rush. One of the most important aspects of your e-commerce store is its user friendliness. If consumers easily become confused or feel as if your site takes too much work, they will quickly move on. Consumers look for gift sections that are highlighted and banners that point them in the right direction. The holidays are a busy time for everyone, making it important to provide your customers with quick, easy navigation and checkout procedures, as well as fast loading pages that can accommodate the higher levels of traffic holiday sales bring. The holidays are the perfect time to create a coupon and promotion strategy, including automatically generating coupons and sales for targeted customers. You can also show customers how they can interact with you, giving them multiple methods to get in contact with you to ensure 100 percent satisfaction. Your e-commerce store should be accessible not only as a webpage but also on tablets and smartphones to allow consumers to reach you wherever they are. When you take the time to prepare your E-commerce store for what promises to be a successful holiday shopping season, your store can reach new traffic and sales levels, allowing you to stay ahead of the competition. The right preparation will allow you to enjoy a sizeable return on investment, as well as high levels of customer satisfaction.